Crichton Royal Hospital in Dumfries is an NHS Dumfries and Galloway site. The boiler house supplies three hospitals of varying size and age along with other miscellaneous buildings. 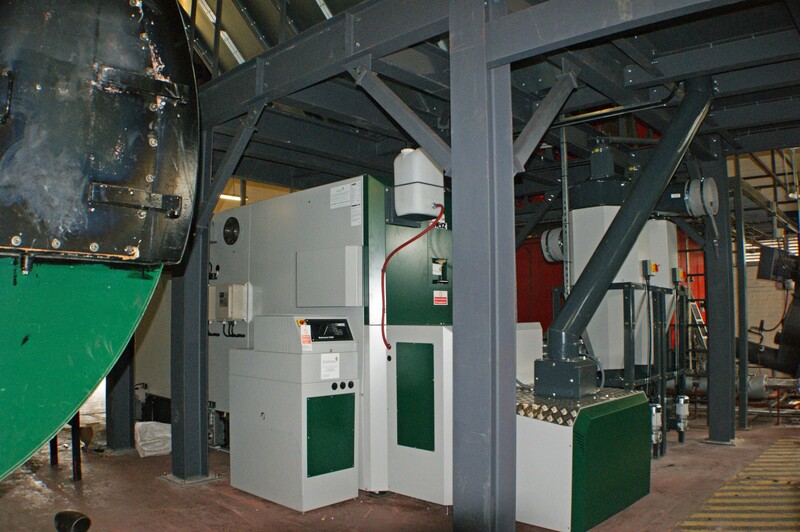 As part of the NHS’s continuing commitment to reducing their carbon footprint and increasing productivity of managed woodlands, a second biomass boiler was specified for the site. 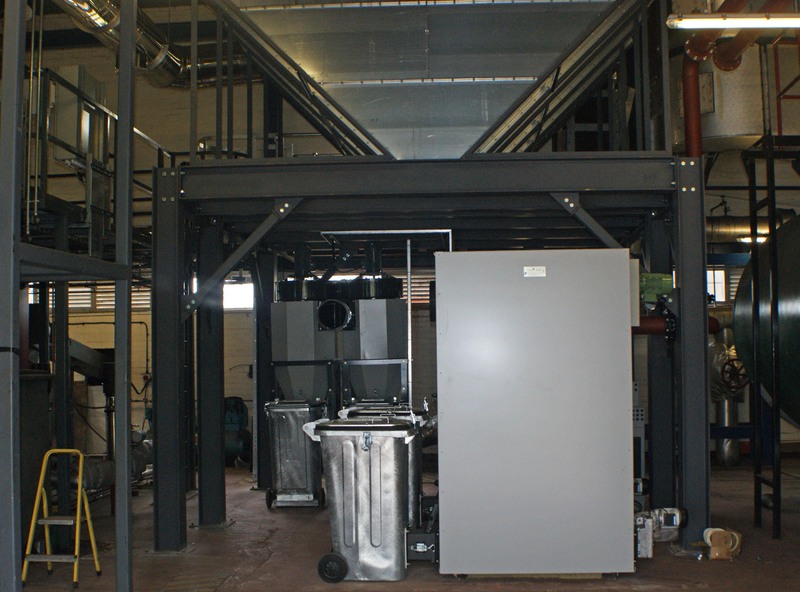 Rural Energy was contracted through James Frew Ltd to design and supply a 995kW Herz BioFire system to be retrofitted into the central boiler house. 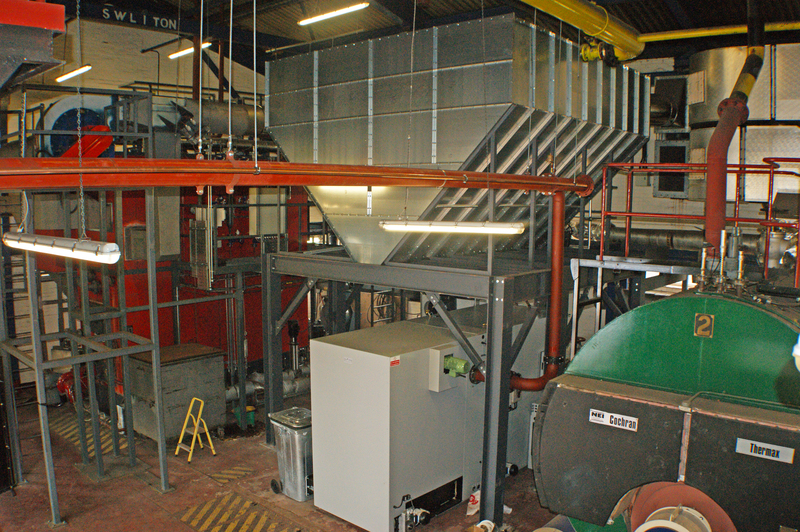 This system was to be supplied alongside a ‘V’-profile prefabricated aluzinc trough silo for wood pellet fuel. The Herz boiler lent itself well to this challenging design. The boiler house was a tight space due to its age but the Herz BioFire has one of the smallest footprints for a biomass boiler of its size on the market. The modular composition of the boiler also meant it could be split into two pieces to be positioned and installed into the plant room. The fuel store posed a separate challenge as it also required positioning in the tight space of the plant room. Following extensive planning input from Rural Energy’s experienced technical design team it was decided that the fuel store would sit directly above the biomass boiler, raised up on beams. The prefabricated modular ‘V’-profile store was ideal for this as no additional building space or external silo needed to be constructed; the store was simply fitted together and then connected up to the boiler fuel feed which comprises a simple chute down to the boiler’s intermediate hopper. The decision to use wood pellets over wood chips allowed for this prefabricated modular fuel store to be used and facilitates fuel delivery externally through a filling pipe by means of blown delivery.